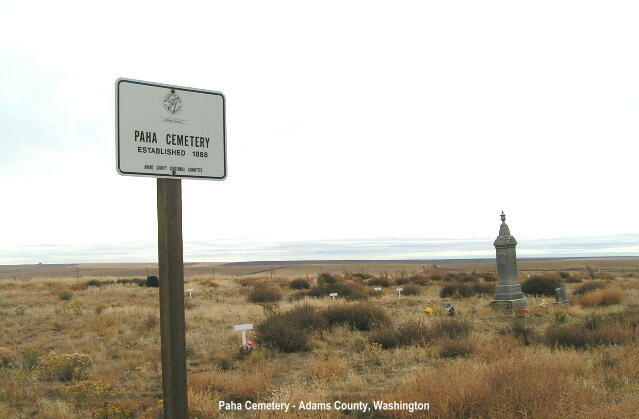 Located 3/4 mile north of Paha on east side of Paha-Packard roads. About 2 1/2 acres. Earliest date of birth on stone: 1840 and earliest date of death 188. Copied Aug. 9, 1975 by Georgia Hays. Individual records can be viewed by clicking here. This will take you to Find-A-Grave.com. There are 31 internments at this cemetery.